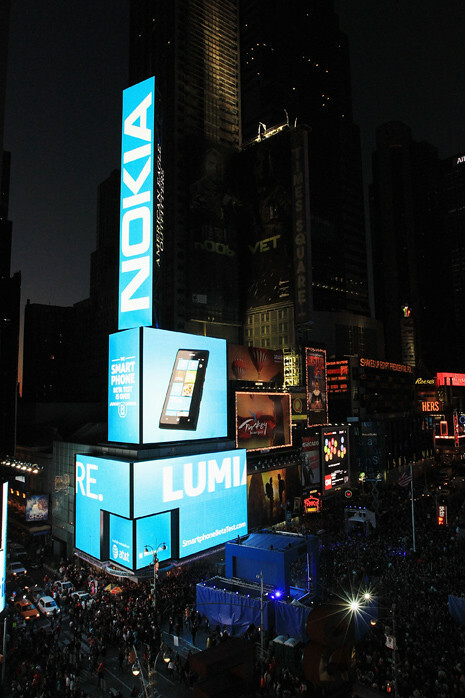 Just few days ago, the Nokia Lumia 900 was launched in the US and they had a massive launch party at Times Square, New York. Superstar Nicki Minaj kicked off the party with here top hit songs and the whole Times Square was shut down for this event. ”Shutting down TIMES SQUARE!!!!!! Let’s go #Nokia,” was Nicki’s tweet prior to her appearance on stage. A massive countdown clock displayed across the square drew the crowds who were anticipating a big event without knowing what was about to happen. The launch event brought Times Square to a virtual standstill 30,000 people watched one of the biggest electronic take-overs of the iconic New York landmark. Using the latest CGI technology, the team behind the massive Hollywood blockbuster, i-Robot, had created one of the world’s largest LED displays. 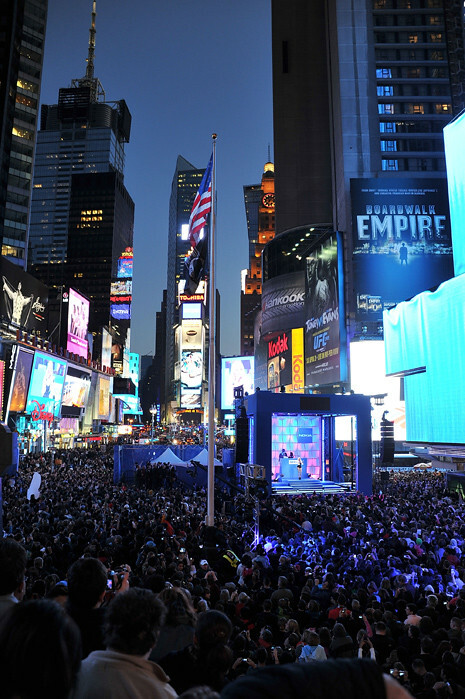 To top it off, Nokia also took control of nine of the square’s famous electronic screens to ensure the crowd was immersed in light and music from every direction. One Response to "Nicki Minaj Kicks Off Nokia Lumia 900 Launch At Times Square, New York [video]"